It’s just $17 per child. But add that up and the Clark County School Board will be cutting $5.4 million out of the education fund for this year. This news spells a further setback for schools in the district that are struggling to educate the over 318,000 children by resorting to options like having class schedules all the year round and arranging for portable classrooms. They need to adopt these solutions simply because they don’t have enough funds to build new schools for them. Given this situation, the budget cuts have resulted in school authorities having to lay off many teachers and choose the essential educational programs over the seemingly less important ones. Unfortunately, art classes have taken the brunt of the cuts and most board members are opting to eliminate these extracurricular activities. Possibly 20 middle and high schools are cutting teaching jobs in the arts and sports in different parts of the valley and the situation is similar in both the affluent and the not-so-affluent neighborhoods. This could amount to around 1,834 teaching jobs getting cut. Considering that surveys conducted over the internet indicate that communities are extremely supportive of the extracurricular activities that include art lessons for the kids, maybe the School Board needs to rethink its decision. Although, the School Board representatives are talking about supporting extracurricular activities, it is up to the school principals to make decisions regarding which programs to maintain and which to cut. The situation is a major cause for worry, and many corporate and other institutions are coming forward, and offering donations and promises of support to assist schools in dealing with the shortage of funds. 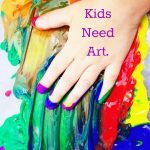 At The King Art Studio, we are deeply concerned that kids will be losing the opportunity to take painting classes that are so essential for the development of subjective thinking. Art helps kids expand their minds so that they are able to assimilate their other subjects better. We do hope that the concerned authorities can find some way to mitigate the budget cuts if not remove them altogether. We appeal to them to consider carefully the impact of their decisions on the art education that is so necessary for the development of young minds.